I have decided to try out some wigs and went for 2 different brands: the DONALOVEHAIR and the Powder Room D and have decided to make a comparison review and share my thoughts with you! I have tried a variety of their hair extensions and human hair wigs and can't wait to share my thoughts with you! Now that you're here, make sure to check out Layan's review of the Gee Hair Extensions! I have really thick and wavy hair which sounds great at first, but trust me, it is so difficult to take care of it. I have gone through so many transitions and realized I can only have one haircut, as everything else looks really weird on me. However, I have experimented with colors a lot, from a chocolate brown, ash blonde to silver hair and pink highlights. 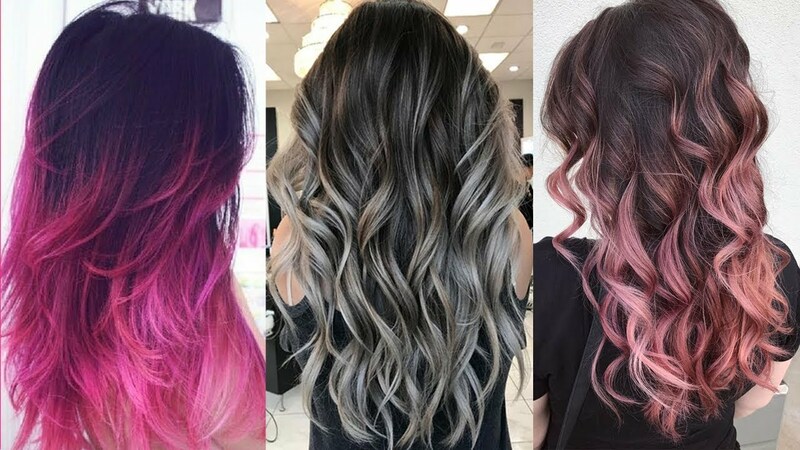 And from my experience, I have realized that I will never get the color of hair that I want, especially the shades of silver and rose that I definitely prefer. I have tried using L'Oreal'sCollorista collection but the dye just fades away so quickly. I was already becoming a bit depressed when I came across the idea of wearing a wig and DONALOVEHAIR and POWDER ROOM D popped out. DONALOVEHAIR is a store where a variety of diverse and professional clip-in hair extensions and wigs are sold. Their price varies from around $100- $300 and on the website, it states that the wigs are made from real human hair. They say that they are very affordable, but I did think twice before purchasing the wigs, as to be honest, it is kind of an investment. When I checked their website, they had a big variety of wigs and I did not really know what to choose. DONALOVEHAIR also meets personal requirements and create custom-made wigs which I think is cool, but let’s start with my overall review. POWDER ROOM D pride themselves with providing affordable luxury to their customers, and with their location in New York City, they sew, color and customize hair extensions. Their website states that they push for equality, inclusion, and justice which I really like. They also say that they donate to causes they are passionate about ( they did not really mention any, so that is a bit funny, why would you be mysterious about where your donations go?). I have never worn a wig before, so I did not really know that much about it, and I wish the websites provided more info about every wig. I am the type of girl who gets bored with my looks really quickly, I always try to look different and my appearance depends so much on my mood. I am always worrying about my hair and hairstyle, and if I don’t like it, my day is ruined. After all, I can’t help but agree with the saying that 'you should invest in your hair, as it is the crown you never take off'. For both brands, I decided to go for something edgier, because once you buy a wig, it better look unique and cool! I went for this Pink Customized Human Hair Lace Front Wig which is designed by Lauren, an Instagram influencer whose profile you can check here. The price of the wig was $248.00 which is a bit too much for me but I felt really generous and purchased it. I received the wig on time, and the color of it is absolutely beautiful! It does not look exactly the same as on the website and is a bit lighter, but I still really love it. However, what I noticed immediately is that the wig itself is very, very dry which is an absolute no-go for this price. The website says that the hair is 100% Indian Remy Human Hair which I really doubt, to be fully honest. Under my fingers, the wig feels more like it is very synthetic, and I am quite sure it is. When I realized this, I was quite annoyed because the real hair feature was the most important aspect for me, and I could have bought a way cheaper wig, such as the one from Powder Room D.
Anyways, once I started putting the wig on my head, which was a bit difficult as I have loads of my natural hair, I saw one really bad feature: you can see the wefts. You need to be very careful and basically place the wig in such a position that you can’t move if you don’t want to see the wefts, which is quite an impossible mission to me. I wonder If there is any way of solving this? I googled some solutions, but it seems that wearing a hat is the best one. Ahh… I am slowly starting to regret my generosity whilst online shopping. I am trying to be a bit more optimistic because the wig actually does not look that bad, and my hair looks really fluffy, which actually suits me as I have a similar hairstyle myself. It is also really thick and has 150% of volume, so it does actually look quite good. For all the beginners out there, I have included this tutorial on how to put on a wig! I purchased this Bubblegum Lace Front Wig and I was super excited to see how this purchase would go! I thought this wig would be a perfect detail to wear for the festival season. Luckily, the POWDER ROOM D website itself left a better impression than the DONALOVEHAIR and what I found super useful was that, next to every wig, there is a nice description of it, and the ways you should take care of. When I put the wig on, it looked much more natural than the Pink Customized Human Hair Lace Front Wig from DONALOVEHAIR as it had the lace front. That actually means the wig is tied to a sheer lace base which immediately gives a more natural hairline. However, don't forget to cut about an inch of the lace around the hairline so it looks and feels proper. I really like this color but another super nice tone is the Peachy Pink lace front synthetic that you should definitely check out! Even though I prefer this wig, I find it a bit heavy to wear, since there is so much hair. I do feel that the Pink Customized Human Hair Lace Front Wig is lighter than the Bubblegum Lace Front Wig. If I compare the prices of the wigs, with the Bubblegum Lace Front Wig being more than $100.00 cheaper than the Pink Customized Human Hair Lace Front Wig, I really can say that DONALOVEHAIR is quite overpriced for their quality. A big plus is that you can style the wig easily! I am always a bit skeptical with using the straightener on wigs and kind of try to keep it to a minimum, but the wigs from Powder Room D actually allow you to do this! Impressed! I also think the wig is not so difficult to cut as it is a bit too long for me, so will try to bring it to the hair salon these days. This was my review of both Powder Room D and DONALOVEHAIR wigs and this whole experience was really interesting for me, as I am quite unfamiliar with the wig world. However, for my first time, I really liked wearing wigs, as it made me feel quite funky and cool. Between the two brands, I would go for the Powder Room D as I feel they offer better quality and are more affordable. What are your thoughts about these brands? Have you tried them on?